Every year, around 75 people are killed or seriously injured on West Lothian roads and a further 500 are slightly injured. In response, we now publish our Road Safety Plan for West Lothian covering the period 2012-2015. 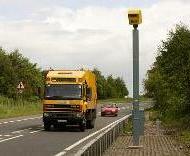 Speed CameraThe publications below details our key commitments and action plan.